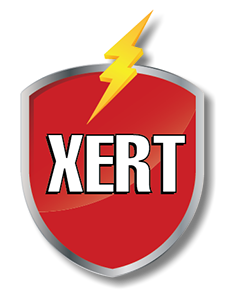 XERT - Wine Rescue Emergency Response Team | Xpeditr Inc.
XERT (Xpeditr Emergency Response Team) was formed in 2012 after Superstorm Sandy barrelled through the North East claiming the many prized bottles. Wine was ruined not only at private homes but also storage facilities without adequate setup for the storm. As seen on Reuters. Our team of 10 wine rescuers heads into the wake of the storm and extracts wine collections from their resting places. Hurricanes have come looking for our liquid history. It is our mission to preserve and protect that liquid history. Saved over 25,000 bottles during hurricane Irma and Hurricane Harvey in 2017. Saved over 6000 bottles during Wild Fire Tubbs. Natural Disasters are great reminders for us to ensure a company like Xpeditr is protecting our wines. Be Prepared. Identify weak points in your wine cellar. Craft a Plan. How do I save my wine? Call Xpeditr – we guarantee to protect your wines with the securest facility closes to your cellar. We will protect your wine collection that takes a lifetime to build. We have vetted every facility. Decide who you’re going to trust with your collection. You don’t want to be making this decision when Hurricane Irma is breathing down your neck. Call Xpeditr to ensure the safety of your wine collection. Assess Worst Case Scenario. Perform drills, install backup generators, etc. Create drill plans for your storage units. Climate Control Failure. Decide how you’re going to remove your most valuable wine treasures first. Record Keeping. Xpeditr will create a detailed catalog for your wines, and respect your privacy by keeping your data offsite. Evaluate plan for your irreplaceable wines first. Evacuation plan. Call Xpeditr, and we will custom tailor a plan that’s right for you. We will go into your cellar and ensure that you have the necessary items and emergency equipment on location. Headlamps, portable generator. Waterproof extension cords. There is a ton of things you don’t think about until you’re in the thick of it. That’s why the biggest wine collectors should always opt for an emergency response team. Call Xpeditr to help curate a relief plan for your wines before the next natural disaster.